The Hotel Cleopatra Palace consists of three buildings: Cleopatra Palace, Julio Cesar Palace, Marco Antonio Palace and provides warmth, tranquility and personal care. 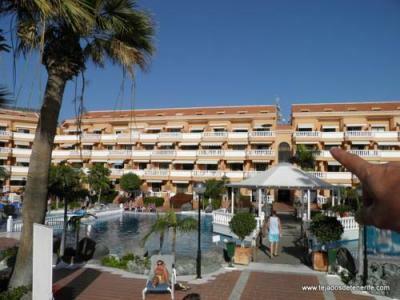 The complex is located in the center of Playa de las Americas, opposite the beach of Playa del Camison and offers its guests various services to make the stay an unforgettable experience. The hotel offers free Wi-Fi in all facilities, restaurants, bars, entertainment for children and adults and a relaxation program thanks to the Wellness & Spa area. The Mare Nostrum has a magnificent location in the front line beach and only a few minutes walking distance from shops, bars, restaurants and banks. Southern aiport is only 15 minutes away. 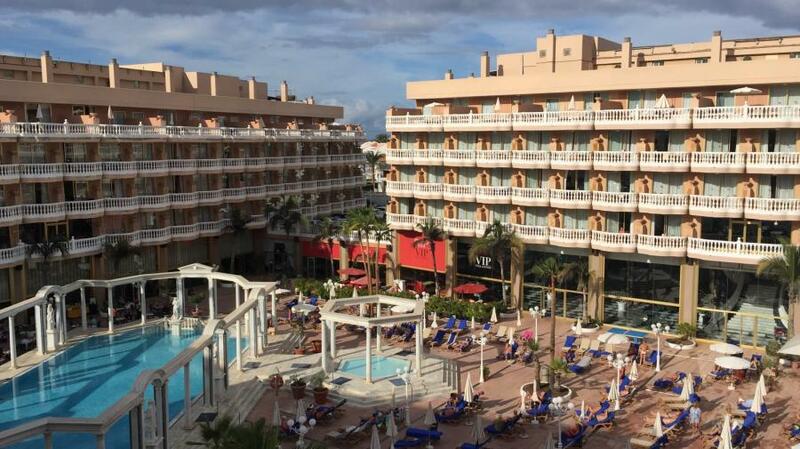 Located by Playa de las Americas beach, this luxury hotel is just across the promenade from the nearest beach and 100 m from the nearest shopping centre, offering plenty of shops. 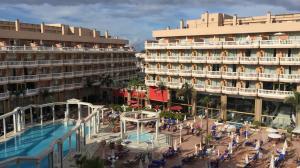 The centre of Playa de las Americas is approximately 1 km from the hotel, as well as the next golf course. The Mare Nostrum is fully equipped with all the services and amenities needed to keep guests in shape: 4 swimming pools, a Jacuzzi, 2 tennis and, minigolf. Gymnasium & fitness centre on charge. It also offers a hairdressers, boutique and children's play area. The Mare Nostrum Resort offers its guests reduced green fees and at the 5 prestigious golf courses (pre-booking of green fees also available), with special packages and personalized service for golfers. The rooms have been decorated in vibrant colours. We also pay attention to comfort and the requirements so that you feel at home. All the rooms come with an en suite bathroom with a marble bath. Furthermore, they are fitted with air conditioning and central heating as well as a furnished balcony or a terrace. A friendly atmosphere on a Roman style to enjoy in your holiday time.